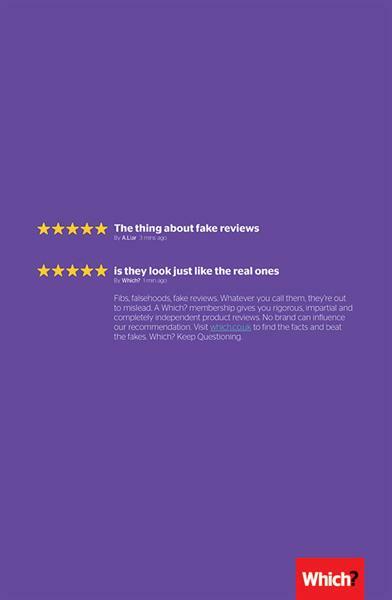 In a world of "fake news" and "alternative facts," consider this other worry: fake reviews. Consumers are finding it more difficult to know where to turn for trustworthy information, but Which? offers itself as a solution in its latest campaign by Grey London. The ads will run at London’s most popular train and Tube stations, along with a print partnership with the Evening Standard, radio partnership with LBC/Global and an editorial investigation into fake reviews published online and in the Which? magazine. The work was written by Matt Tassel and art directed by Marc Owens.